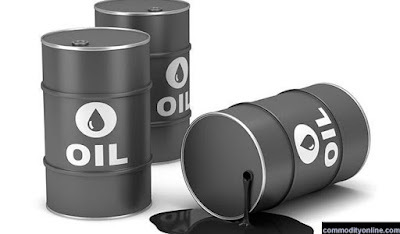 The Organisation of Petroleum Exporting Countries, in its latest monthly oil report released on Tuesday, said Nigeria’s oil production dropped to 1.687 million bpd in January from 1.797 million bpd. OPEC and 10 non-OPEC countries agreed in December to cut oil production by 1.2 million bpd effective from January for an initial period of six months to shore up what many expected to be weakening market fundamentals ahead. With a reference level of 1.738 million bpd, Nigeria’s oil production was to be cut by 53,000 barrels to arrive at a new quota of 1.685 million bpd. According to S&P Global Platts, OPEC has painted a bearish picture for 2019, with demand for its crude oil expected to fall due to weak demand growth and a sharp rise in output from producers outside the group. The group’s 14 members pumped 30.81 million bpd in January, down from 31.60 million bpd in December, according to its Monthly Oil Market Report. Oil prices have recovered since December, when they fell to a 15-month low, with ICE Brent trading above $62 per barrel this week. OPEC’s research division estimates demand for its crude will average 30.62 million bpd in the first half of 2019, around 190,000 bpd lower than last month. Demand for OPEC crude in 2018 averaged 31.60 million bpd. Demand growth in 2019 was revised down to 1.24 million bpd due to “lower economic expectations from OECD Americas, Europe, as well as Latin America and the Middle East,” the report said.